Just an interactive visual design student, living near Ipswich and Brisbane. 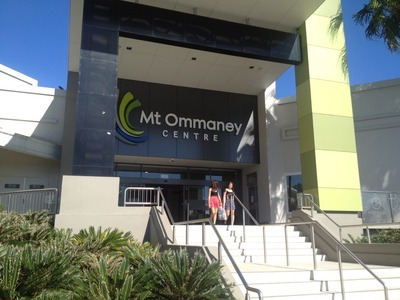 For a shopping centre, that has all the go-to shops, Mount Ommaney Shopping centre is a place for everyone. Shops ranging from fashion, entertainment and even groceries - anything that a person may need is located in this shopping centre. With an food court with a variety of different foods, there is something for everyone. Mount Ommaney also hosts various events for the kids during the school holidays. With the Easter holidays coming up, Mount Ommaney is providing three different workshops for children. For more information about the Easter School Holiday Workshops click here. So for anyone wanting some retail therapy or just to entertain the children during the holidays, head towards Mount Ommaney Shopping centre.